Aah Tarawera. 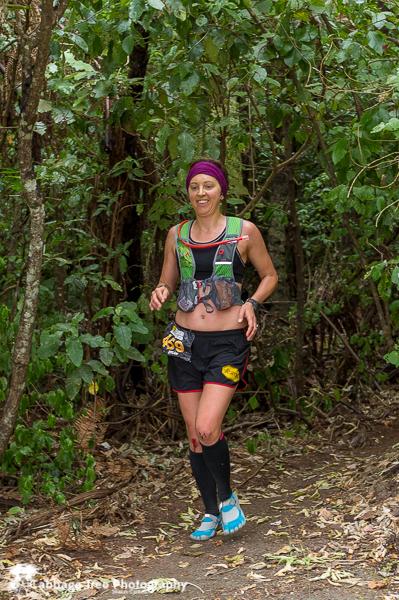 It’s just the most awesome pile of sweet single track for an ultra-endurance running event. Loved it! We had a full team of elites that went along, with our relay team and Ruby Muir being the most likely to win their events. And they did in grand style. It’s just so inspirational to spend time with people who spend so much time doing what they are truly passinate about, add a good measure of natural talent to all the hard work and we have a winning combination. The number of FiveFingers and BarefootInc/ Inov8 elite athletes dominating ultradistance trail running in Au/NZ is absolutely astounding. I decided I would try and tackle the 60km event, knowing that I was well prepared for a halfmarathon… I took it easy, ran with the mid field on the day and had sooo much fun. It’s just something so fantastic to be part of. I was too busy having a good time and not concentrating on the tree roots at around the 30km point where I went flying off the trails, doing a bit of injury to my knees, and kidneys. Which meant calling it a stop at the next check point (38km mark).